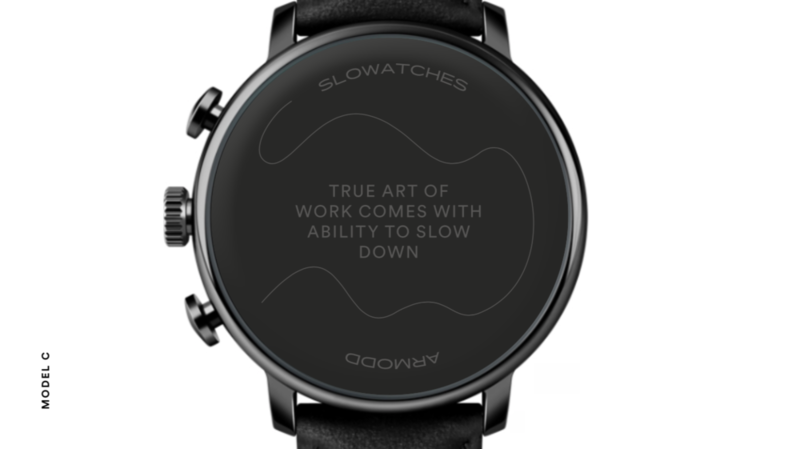 Slowatches - watches that help you to slow down. Before we could have started to design these watches with designer Marketa Steinert and build a whole new brand called Armodd, we had to make a number of strategic decisions. Armodd is a brand that belongs to our client, e-shop with smart watches Smartomat.cz. The owner of Smartomat wanted to create a new, premium brand that would produce hybrid watches with Swiss components. Everything else was up to us. And expectations were high. Based on the analysis of the market, the target audience and the competition, we recommended our client to match the product and brand to a group of productive women without children. Most products available at the market by the time of our research, put into the foreground technological advantages, not design. And that turned out to be at the heart of the problem. 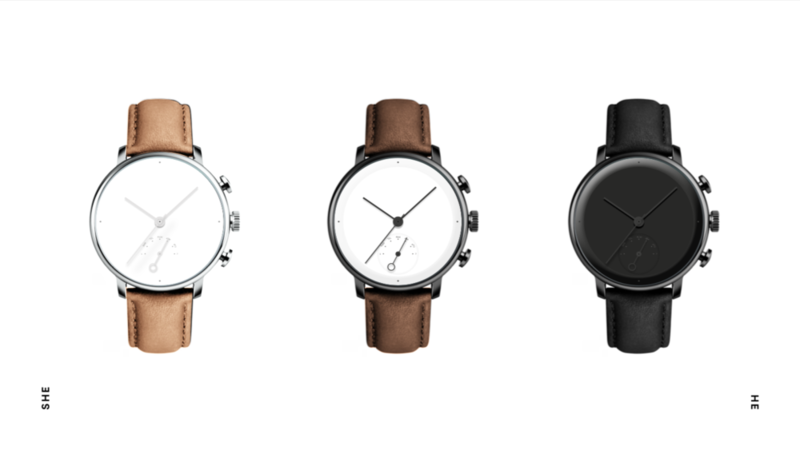 The vast majority of products on the market have presented themselves as a smartwatch that builds on its many features and gives you the opportunity to be connected constantly. The first attribute of the brand was clear: we produce smart accessories, not watches. Design is more important than function. The second, crucial attribute came from the key insight of our target group. If we focus on young people (women) of working age, do they really want to be constantly connected? Based on an analysis of our behavioural experts, several reports have shown that there is a significant increase in the use of the smartphone among young people. Just between 2016 and 2018, the average daily spend on the phone rose from 220 to 270 minutes a day. If this trend continues, we will spend 13 hours a day on the phone in 2025. Concurrently, there is an increasing level of anxiety and FOMO (“fear of missing out”). This is reflected, for example, in the fact that during the aforementioned two years the number of unlocking of the phone in one day rose from 56 to 73. However, the amount of time spent on the phone after one unlocking declined sharply. Research showed self-reflection of its participants - over 60% of participants expected that the time spent on the phone would be shorter. At the same time, only 40% of them have tried to modify their behavior somehow. Features that limit the time on your smartphone are currently being introduced both by Android and iPhone. So we decided to create a brand that will celebrate JOMO ("joy of missing out"). Who and what is Armodd? Small czech company founded by several designers and marketing folks, slow food eaters and life observers. We design and produce watches and smart accesories, which help people to slow down. Okay. So what is the difference? Our definition of a enterprise (firm, company, corporation) is that its sole purpose is to create revenue to its owner. To create a financial value. However we think, that the organisations can be an enterprise, that brings financial value to its owner but also an entity, that brings value to its society, community, mankind or whole planet. Having this in mind, we have persuaded owner of Armodd to donate QUARTER of its revenues to the causes connected with stress ilnesses, office burnouts and workholism. Because - and now carefully read - the time itself is the only resource, which can not be substituted, And who else, than a watch brand should remind you of that? Armodd’s claim is simple and instructive: You have time, now. So use it because time is the only irreplaceable thing. The basic logotype and symbol are based on a simple overturning of the letter A, by which we have acquired the symbol understandable everywhere in the world: the hourglass symbol. Part of the visual identity was final product testing with representatives of the target group. We have proposed a perfect adept for the position of a brand ambassador to our client. We picked a Czech blogger Trang Do Thu, who is a young woman who works on herself and moves further personally and professionally every day. Even though we chose to target women in productive age, we decided to create an unisex model as well. Do you need to create a brand? Get in touch!